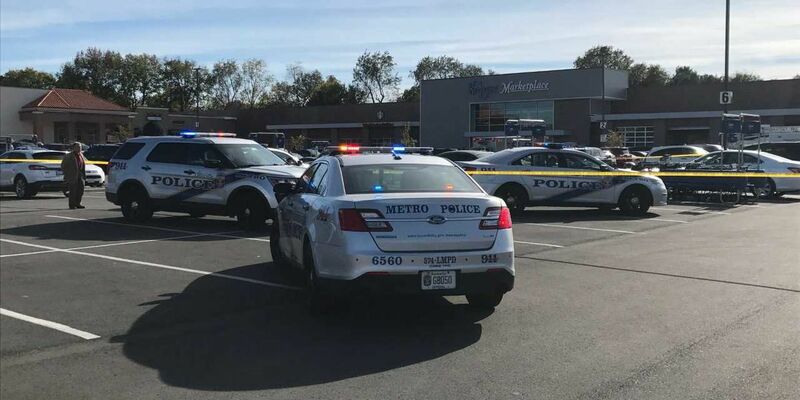 A federal prosecutor says the shooting at a Kentucky grocery store that left two people dead is being investigated as a possible hate crime. Both of the victims were African-American. When the suspect, 51-year-old Gregory Bush, approached him, Harrell said he asked what was happening and that's when the suspect allegedly made the comment to him before driving off, only to be arrested shortly after. Police said there didn't appear to be any connection between Bush and the victims, or any link between Bush and the Kroger store. Pastor Keith Tyler, of Antioch Missionary Baptist Church in Lexington, questions what Bush meant to do at the church. I won't shoot you. Other videos show police making the arrest. He said ultimately, the safety of his congregants is up to the neighborhood. "Because of the FB posts of the alleged perpetrator and the comments he made to a man in the parking lot of the grocery store, we thought it necessary to clearly state our desire and support for a hate crime investigation", the statement said. "In so doing so, we also will protect our churches", Tyler said. "He was unsuccessful in gaining access to the church", Rogers said, according to WAVE3. "She was gone, there's nothing I could do", Deacon said. Court records show his parents told police in January 2009 that Bush punched his 78-year-old father in the face and grabbed his 74-year-old mother by the neck "and picked her up off the ground". An arrest record from May 2009 says Bush became "irate" and shouted obscenities and threats at his ex-wife. When deputies tried to subdue him, he fought off attempts to handcuff him and he punched a deputy twice. A judge ordered him to surrender his weapons after his ex-wife filed an emergency protective order. According to a police report, Bush walked into the store, pulled a gun from his waist and shot a man in the back of the head. A citizen armed with a gun engaged the shooter in the parking lot, but the suspect was able to flee before he was captured on a nearby road, Rogers said. Fifty-one year old Gregory A. Bush has been charged with murder and other crimes in the deaths of the man and the woman at a Kroger store Wednesday in Jeffersontown, located on the outskirts of Louisville. He's recorded driving out of the lot while an officer chases after him on foot. Stallard is father of Kellie Watson, who serves in the mayor's office as his chief racial equity officer. The police report says an unidentified armed civilian challenged the shooter and that Bush allegedly began firing at Jones in the parking lot. Drew Butler said he was shopping in the store when he heard multiple shots. He is being charged with murder and wanton endangerment. Police in Kentucky aren't yet saying whether they have determined a motive for the fatal shooting of two people at a Kroger grocery store on the outskirts of Louisville. Referring to her own childhood, Kelly recalled how using blackface at Halloween was acceptable " as long as you were dressing like a character ".